The Intra-Disciplinary Seminar (IDS) Public Lecture Series presents a lecture by Theaster Gates entitled "Two Long Poems." It is free and open to the public. 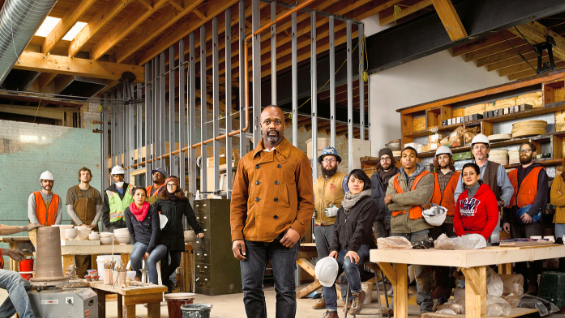 Theaster Gates was born in Chicago in 1973. He first encountered creativity in the music of Black churches on his journey to becoming an urban planner, potter, and artist. Gates' practice includes sculpture, installation, performance and urban interventions that aim to bridge the gap between art and life. Gates works as an artist, curator, urbanist, and facilitator and his projects attempt to instigate the creation of cultural communities by acting as catalysts for social engagement that leads to political and spatial change. Gates’s non-profit, Rebuild Foundation, manages the many projects in his Chicago hometown—including the Stony Island Arts Bank, Black Cinema House, Dorchester Art and Housing Collaborative, Archive House, and Listening House—while extending its support to cities throughout the American Midwest. Many of the artist’s works evoke his African-American identity and the broader struggle for civil rights, from sculptures incorporating fire hoses, to events organized around soul food, and choral performances by the experimental musical ensemble Black Monks of Mississippi, led by Gates himself. 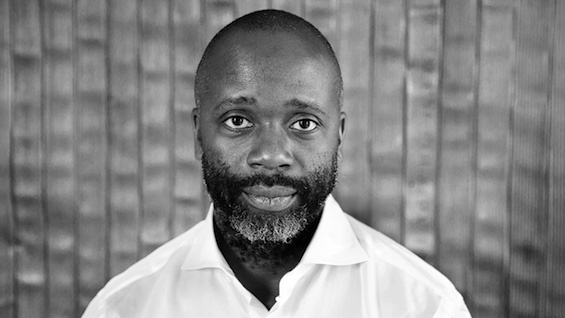 Theaster Gates attended Iowa State University (MS, 2006; BS 1996) and University of Cape Town (MA, 1998). Gates’s awards and residencies include the Kurt Schwitters Prize (2017), American Academy of Arts & Sciences Award (2016); Smithsonian American Ingenuity Award for Social Progress (2015), Artes Mundi Award (2015), honorary doctorates from the San Francisco Art Institute (2015) and the School of the Art Institute of Chicago (2014).